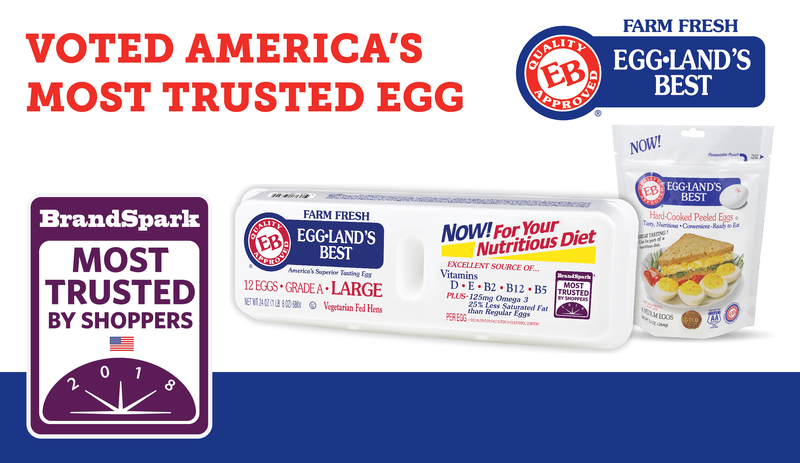 Eggland’s Best eggs are available in large, extra-large, jumbo, cage free, organic, hard-cooked, cage-free hard-cooked, organic hard-cooked, liquid egg whites, and are certified Kosher. For more information on Eggland’s Best eggs visit www.egglandsbest.com. For more information about the BrandSpark International Most Trusted Award, please visit http://www.brandsparkmosttrusted.com/.